My little one has been teething from when he was about 4 months. Five months later and his first tooth is just starting to come out. During this time I have purchased many teething accesories for him to help ease the pain and give him something to chew on. Although I’ve bought him so many, he lost interest or he just didn’t like them – some were either too big for his little hands and some were too harsh. 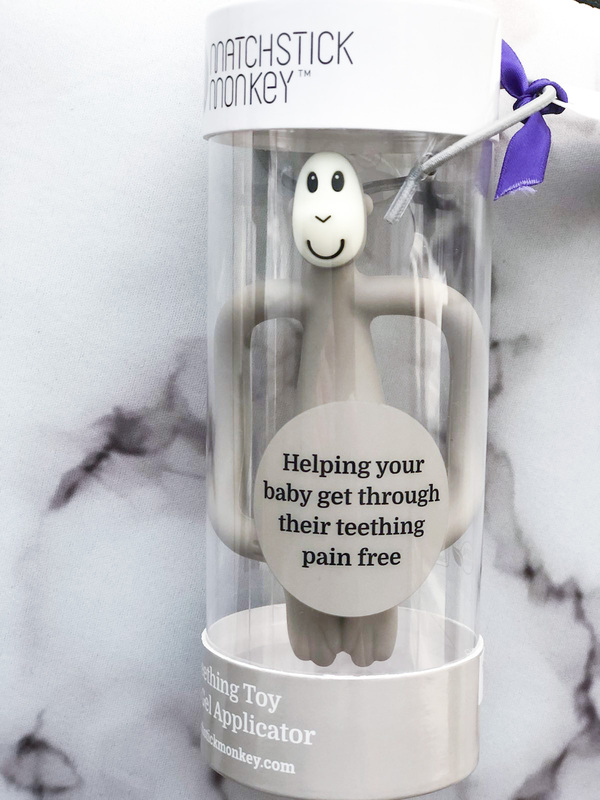 “Matchstick Monkey is a fun flexible baby teething applicator which aids pain relief getting teething gels and granules right to the source of the pain.” – quote taken from Matchstick Monkey’s website which can be found HERE. Matchstick Monkey have offered to send me a monkey for Josh to try (we love monkeys in our house by the way) and I have known Josh will love this as soon as I’ve seen it online. 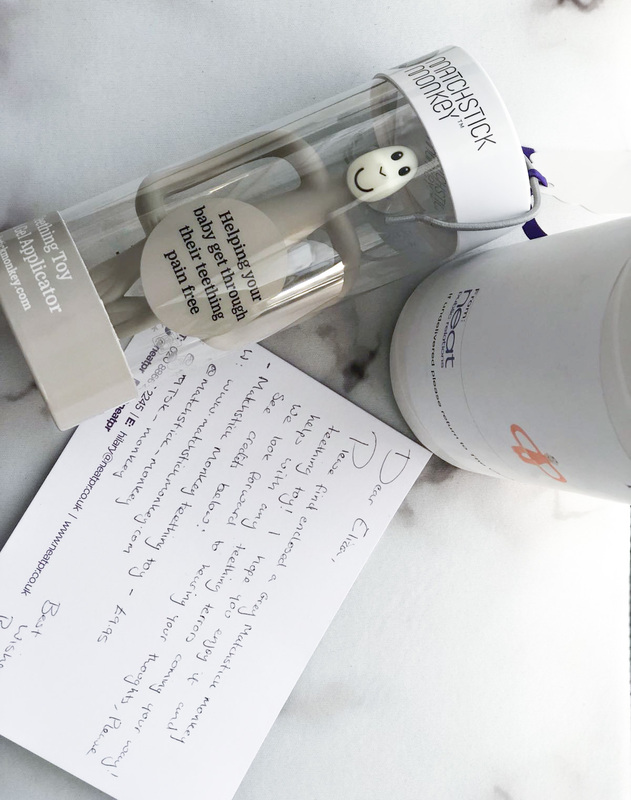 I have received it very quickly in the post and I have loved the design of the package and the design of the monkey too. I thought it was so thoughtful that they even sent me a hand written card – who does that anymore? I think it says a lot about the brand and it shows how much they care. Hand written cards/letters are my favourite ❤️! Please tell me you don’t think the packaging and the monkey is super pretty? We’ve had it for about 3 weeks now and we don’t leave the house without it anymore. I love it because it’s not too small, yet not too big and it’s not harsh either because it’s made from soft, safe silicone. 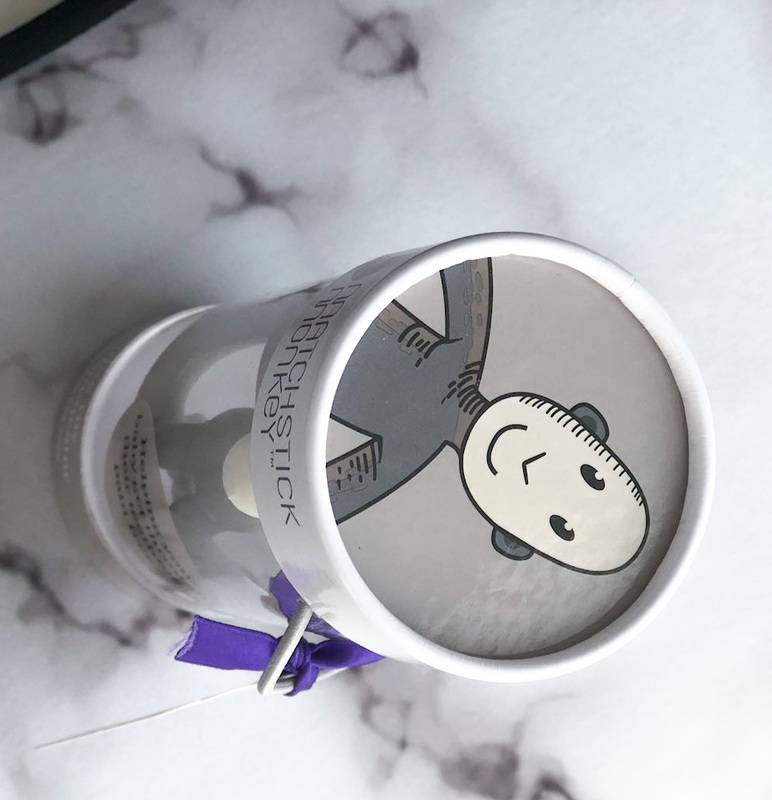 The ‘arms’ of the monkey are just perfect for Josh’s little hands and I also like that at the back of the monkey’s head there are bumps which makes it easier to add any teething gel but it’s also a nice texture for the baby to chew on. If only I knew about this when I had my first born. It would’ve saved me so much money because I kept buying different teething toys and then throwing them because the baby used to throw them or didn’t use at all. I’ve also decided it’s time for the – biting my fingers and my chin – to stop! So glad we gave this a try. It’s exactly what Josh needed. I know that all products should have some advantages and disadvantages, but I can’t really think of a negative thing for this teething toy. I have just ordered one of these for my friend who has just had a baby! 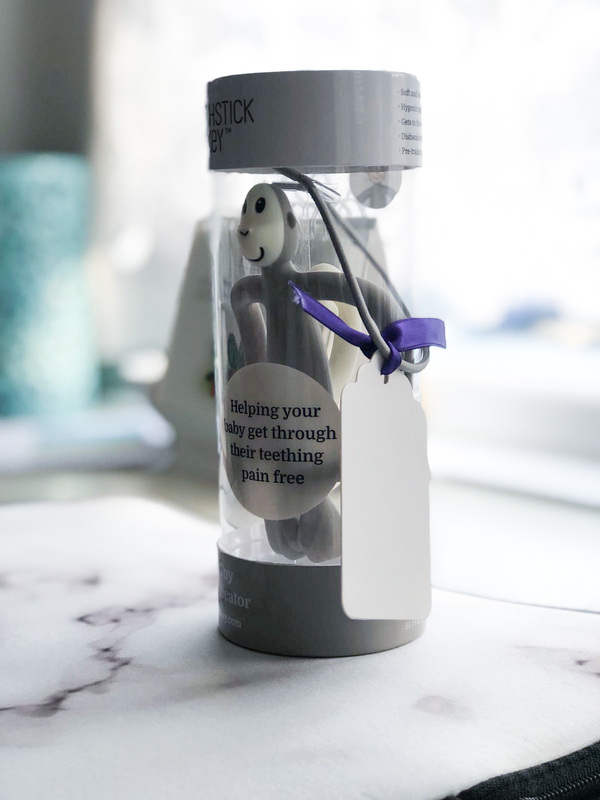 oh that is lovely and really going to help little ones who are teething. These are so cute! Wish I’d had these when my girls were tiny! I know right? I wish I knew about them before too.